WE THINK, CREATE & DESIGN BRAND IDENTITY. Attracting and constantly retaining the customers becomes the most essential pillars in today’s cluttered marketplace. 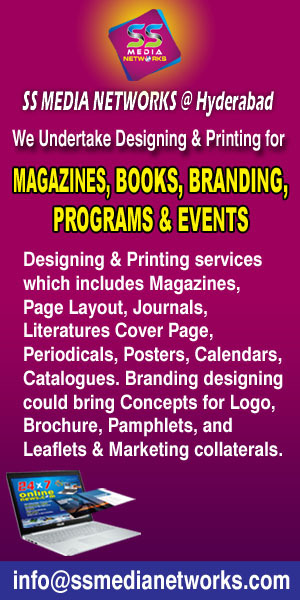 Graphics designing & printing services which includes magazines, literatures, Journals, Periodicals etc. We design the page layout, cover page, albums, calendars, posters, catalogues etc. SS Media Networks is the one-stop solution for the designing concepts for responsive web designs for various industry verticals. 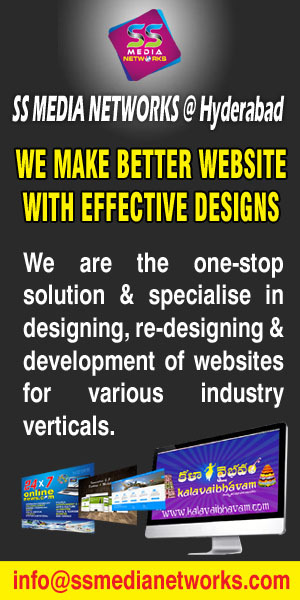 We specialise in designing, re-designing, development of Websites. We are specialised in the translation process for Press Media, Corporate, Web Development, Literature, Agriculture, Medical & Health, Spirituality, and Engineering etc. Looking for a Qulity and Affordable for your next Projects? Let’s talk about it. We are among the few companies who can provide the Best Website Development Services in Hyderabad based on the Client requirements at affordable prices. SS Media Networks is one of the Creative Web Designing Company in Hyderabad with specialized web designers and developers. We work closely with a wide range of clients from different sectors and regions across public sector, private sector and locals.